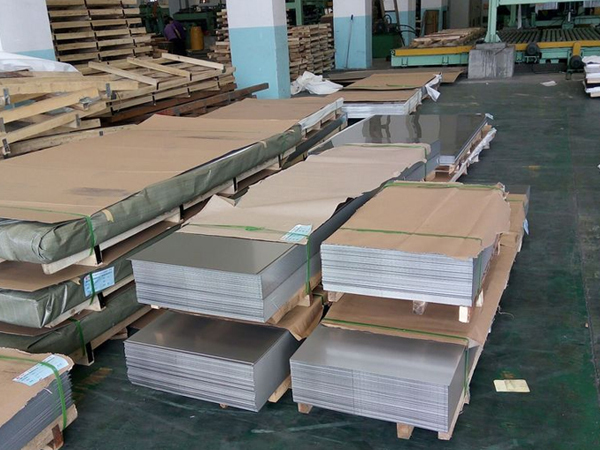 Manufacturers & Suppliers of X5CrNi1810 Sheets, Stainless Steel X5CrNi1810 Plates, X5CrNi1810 1.4301 Cold Rolled Sheet, EN X5CrNi1810 Hot Rolled Plate in Mumbai. X5CrNi1810 1.4301 Sheet / EN X5CrNi1810 Plate / Stainless Steel X5CrNi1810 Sheets / DIN X5CrNi1810 Plates. Stainless Steel X5CrNi1810 Plates, Steel EN X5CrNi1810 1.4301 Sheets, Stainless Steel 1.4301 Plates, X5CrNi1810 SS plates Exporter in India, SUS 304 Plates, UNS S30400 Plate, EN 10088 X5CrNi1810 Sheets, X5CrNi1810 DIN 1.4301 Plates, SS 304 Sheets, Stainless Steel 304 Plates, AISI 304 Plates, SS S30400 Sheets Supplier in Mumbai, India. EN X5CrNi1810 Plates, EN 10088-2-2005 Grade X5CrNi1810 Cold Rolled Sheets, Stainless Steel S30400 Sheets, EN 1.4301 X5CrNi1810 Stainless Steel Hot Rolled Plates, SS X5CrNi1810 CR Sheet, X5CrNi1810 Stainless Steel HR Plates, SUS 304 Sheets, AISI 304 Sheets, DIN X5CrNi1810 Steel Sheets and Plates Exporter in Mumbai, India. Jayesh metal is today one of the top most popular industry that has gained too much of popularity all across the globe. The industry is promising to their esteem patrons in offering the stunning quality of sheets and plates that are produced by making use of good quality of raw materials. 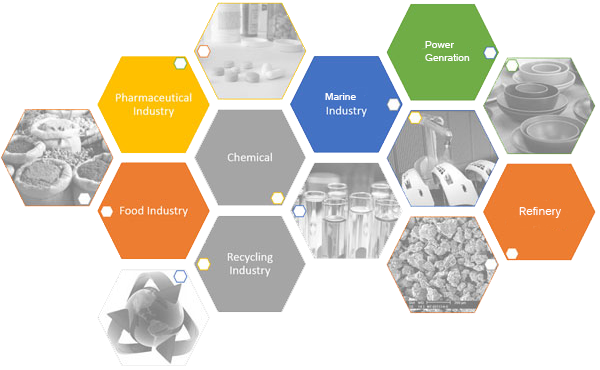 In a well-equipped industry that producers are making effective utilization of latest technology and modern tools that is resulting in the better outcome of the item. 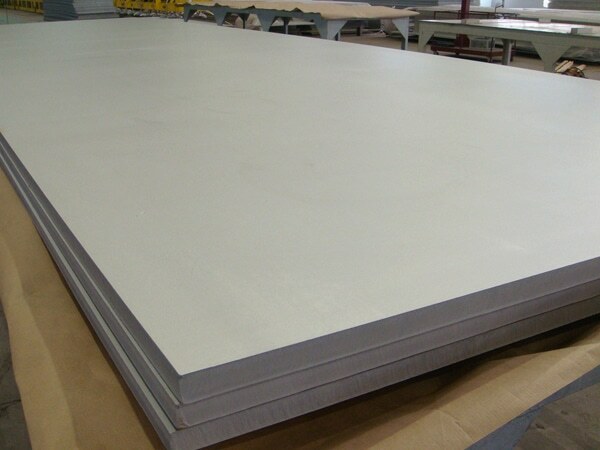 They are supplying X5CrNi1810 sheets and plates to various part of the globe at economical rates. The dimensions of it are ASTM, AISI, JIS, DIN, EN, BS, GB, EN, and API. The thickness of it is ranging 0-1mm, 2-3mm, 4-5mm, 3-4mm, >5mm. The surface treatment of it is cold and hot rolled. The material is 1.4301 X5CrNi 18-10. The manufacturing process of it is cold rolled grounded and cold rolled surface finishes. The policies that producers are following while producing it is DIN EN ISO 9445-2, DIN EN 10088-2, procedure 2 B ground site and sanded on both sides. The length of it is ranging is 2.000mm to 3.000mm. The width of it is 1.000mm to 1.500mm. The foliation of it is foil 4228, laser protection foil and foil standard. The item is successfully passing through various testing like PMI test, IGC test, flattening test, flaring test, macro test, micro test, hardness test, pitting resistance test, chemical test, mechanical test etc. The item is packed carefully when shipped to the buyer using wooden crates, wooden boxes, carton boxes etc to assure the high level of safety. Length : 500mm~6000mm OR any lenth based on the customer's requirement. SS Plates / Sheets Polishing	: Rolf Engg can polish nearly any stainless steel plate item to a #4 polish, #6 Polish, #7 polish or a #8 mirror finish. Stainless plates can be polished on one side or two sides. Stainless steel polished plates can also be cut to size. Pitt free surfaces can also be provided. 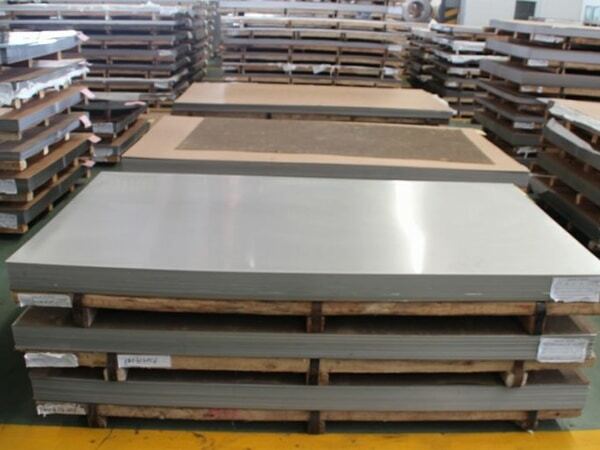 en 1.4301 x5crni1810 stainless steel hot rolled plates price list in india, en x5crni1810 plates supplier in india, stainless steel 304 sheets, x5crni1810 physical properties, stainless steel x 5 crni 18-10 plates and sheets in railway, ss x 5 crni 1810 plate and sheet manufacturer in mumbai, x5crni1810 plates exporter in india, stainless steel x5crni18 10 properties, en10088-2 x5crni18 10 2b, x5crni1810 for stainless steel sheets, steel en x5crni1810 sheet, en 10088-2 x 5 crni 1810 stainless steel plate manufacturer in india, x5crni1810 price, x5crni18-10 specifications, x5crni18-10 price, en 10088-2 x5crni1810 plates, x5crni1810 (1.4301) steel plate dealer in mumbai, x5crni1810 equivalent, material x5crni1810, grade x5crni1810 stainless steel plates / sheets for coaches of indian railways, x5crni18-10 yield strength, x5crni18-10 properties, x5crni1810 chemical information, stainless steel x5crni1810 1.4301 cr sheets, x5crni18-10 aisi 304, 1.4301 x5crni1810 cold rolled plates, en x5crni1810 plate, din x5crni1810 stainless steel sheets & plates, material x5crni1810 (304) in rail coach, alloy x5crni1810 sheets, x5crni1810 sheets and plates exporter in mumbai, x5crni1810 heat treatment, x5crni1810 steel material properties, alloy x5crni1810 plates, w-nr 1.4301 x5crni1810 cold-rolled sheet, stainless steel x5crni1810 sheets / plates in railway, x5crni1810 plates supplier in mumbai, x5crni18-10 equivalent, ss 304 plates, 1.4301 x5crni18 10 steel, x5crni1810 mechanical properties, x5crni1810 chemical element, x5crni1810 grade, x5crni1810 sheets supplier in india, steel sheet grade x5crni1810, x5crni1810 dealer in india, stainless steel x5crni1810 sheets / plates in railway, x5crni1810 plates supplier in chennai, x5crni18-10 specifications, x5crni18-10 price, en 10088-2 x5crni1810 plates, x5crni1810 (1.4301) steel plate dealerin kapurthala. Vietnam, Slovakia, Colombia, United States, Estonia, India, Morocco, Pakistan, Bolivia, Argentina, Ghana, Denmark, Norway, Venezuela, Canada, Italy, Mexico, Turkey, Chile, Lithuania, Ireland, Israel, Hong Kong, Portugal, China, Germany, Bangladesh, Romania, South Africa, Russia, Mongolia, Sri Lanka, Philippines, Lebanon, Algeria, Jordan, Gabon, Costa Rica, Angola, Macau, South Korea, Indonesia, Greece, Iran, Puerto Rico, Namibia, New Zealand, Belarus, Bulgaria, Poland, Trinidad & Tobago,Tunisia, Nigeria, Nepal, Sweden, Australia, Yemen, Saudi Arabia, Libya, Switzerland, Kazakhstan, Malaysia, Czech Republic, Poland, United Arab Emirates, Bhutan, Finland, Taiwan, Ecuador, France, Mexico, Zimbabwe, Japan, Croatia, United Kingdom, Qatar, Bahrain, Spain, Azerbaijan, Singapore, Kuwait, Afghanistan, Ukraine, Hungary, Thailand, Netherlands, Peru, Iraq, Brazil, Gambia, Kenya, Oman, Iran, Belgium, Tibet, Austria, Chile, Egypt, Serbia, Nigeria. Hyderabad, Howrah, Thane, Haryana, Kolkata, Riyadh, Ahvaz, Madrid, Bhopal, Dubai, Chiyoda, Navi Mumbai, Aberdeen, Nashik, Bangkok, Pune, Melbourne, Singapore, Baroda, Los Angeles, Chennai, Sharjah, Lagos, Al Jubail, Chandigarh, Dallas, Doha, Caracas, Manama, Kuwait City, Ahmedabad, Houston, Courbevoie, Atyrau, Ulsan, Ludhiana, La Victoria, Jakarta, Nagpur, Hanoi, New Delhi, Hong Kong, Seoul, Jeddah, Surat, Moscow, Faridabad, Vadodara, Coimbatore, Vung Tau, Jaipur, Brisbane, Lahore, Mumbai, Ranchi, Noida, Kanpur, Jamshedpur, Dammam, Petaling Jaya, Secunderabad, Tehran, Bengaluru, Perth, Calgary, Indore, Visakhapatnam, Edmonton, Pimpri-Chinchwad, Istanbul, Muscat, Busan, Port-of-Spain, Rajkot, Ho Chi Minh City, Algiers, Montreal, Al Khobar, Ankara, Abu Dhabi, London, Kuala Lumpur, Cairo, Sydney, New York, Bogota, Rio de Janeiro, Ernakulam, Milan, Geoje-si, Gurgaon, Karachi, Colombo, Granada, Toronto, Gimhae-si, Mexico City, Santiago, Thiruvananthapuram, Kapurthala.